As a follow up to the Hamilton County Domestic Violence Summit in October, we will be offering occasional community-wide trainings on ways to collaborate for safer communities and improved responses to domestic violence. 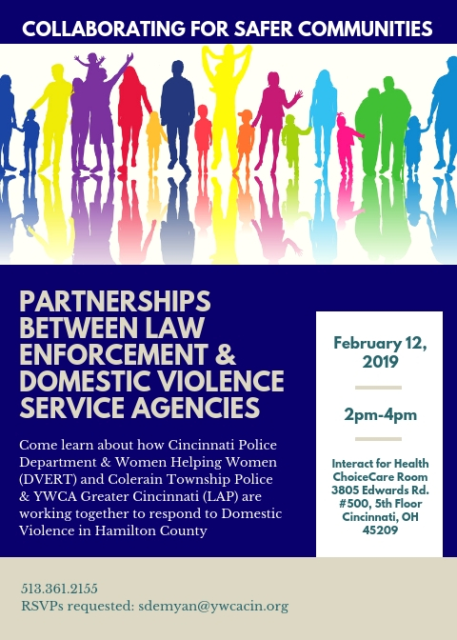 The first one will explore the current partnerships that exist in our community between law enforcement and domestic violence service agencies, such as DVERT and LAP. Please join us on 2/12/19 from 2-4 pm at Interact for Health for networking and an engaging discussion! 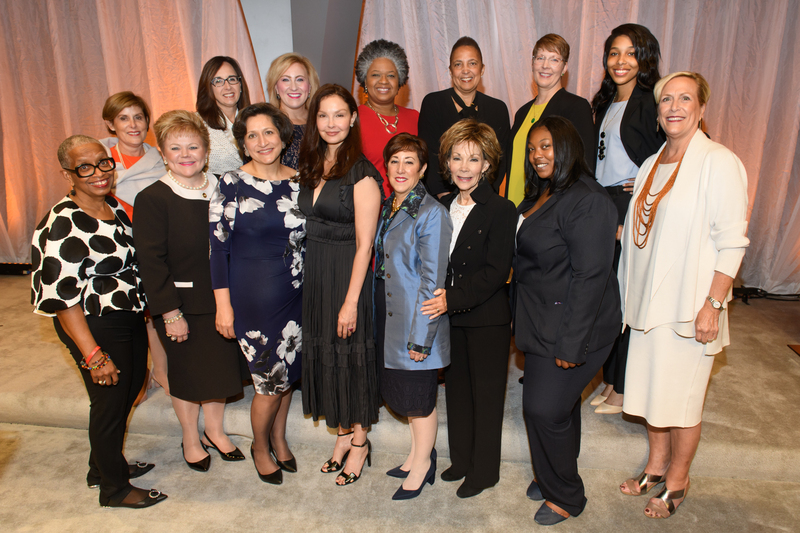 © 2019 YWCA Greater Cincinnati, All Rights Reserved.